Two robotic missions, aimed at gaining further understanding into the threat of asteroids, passed major milestones this week. NASA’s OSIRIS-REx spacecraft and ESA’s Asteroid Impact Mission (AIM) are set to travel deep into space to probe the space rocks that will also become the focus of human Beyond Earth Orbit (BEO) space exploration throughout the next decade. Created under the New Frontiers program – utilizing medium-class spacecraft for planetary exploration – OSIRIS-Rex will be following in the footsteps of NASA’s Juno and New Horizons missions. However, this mission – called “Origins-Spectral Interpretation-Resource Identification-Security-Regolith Explorer” – will be the first US mission to carry samples from an asteroid back to Earth. The spacecraft’s destination is Bennu, a carbon-rich asteroid that could hold clues to the origin of the solar system and host organic molecules that may have started life on Earth. The goal is to return a 60-gram (2.1-ounce) sample back to Earth for study while five instruments onboard the spacecraft will remotely evaluate the surface of Bennu. 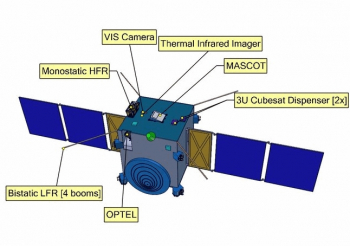 The mission includes six months of comprehensive surface mapping. 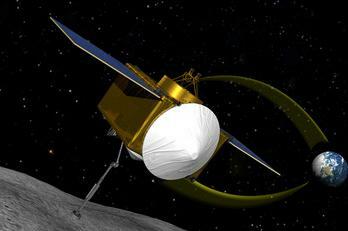 OSIRIS-REx is scheduled for launch in late 2016 onboard an Atlas V rocket from Cape Canaveral. 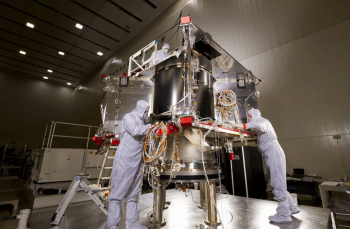 The spacecraft will reach Bennu in 2018 and return a sample to Utah’s Test and Training Range in 2023. The path to launch is on schedule, with the latest milestones including the completion of Key Decision Point-D (KDP-D). This milestone is the result of a series of independent reviews that cover the technical health, schedule and cost of the project and represents the official transition from the mission’s development stage to delivery of systems, testing and integration leading to launch. During this part of the mission’s life cycle, known as Phase D, the spacecraft bus is completed, the instruments are integrated into the spacecraft and tested, and the spacecraft is shipped to NASA’s Kennedy Space Center for integration with the launch vehicle. Also known as Assembly, Test and Launch Operations (ATLO), this phase – being conducted by contractor Lockheed Martin – is a critical stage of the program. Over the next six months, technicians will install on the spacecraft structure its subsystems, including avionics, power, telecom, mechanisms, thermal systems, and guidance, navigation and control. “Building a spacecraft that will bring back samples from an asteroid is a unique opportunity,” noted Rich Kuhns, OSIRIS-REx program manager at Lockheed Martin Space Systems. The survey and sample return mission will help scientists investigate the composition of the very early solar system and the source of organic materials and water that made their way to Earth, and improve understanding of asteroids that could impact the planet. The mission will also accurately measure the “Yarkovsky effect” for the first time. The effect is a small push caused by the sun on an asteroid, as it absorbs sunlight and re-emits that energy as heat. The small push adds up over time, but it is uneven due to an asteroid’s shape, wobble, surface composition and rotation. For scientists to predict an Earth-approaching asteroid’s path, they must understand how the effect will change its orbit. These lessons will aid the knowledge base for dealing with an asteroid that is deemed to be threatening an impact with Earth. 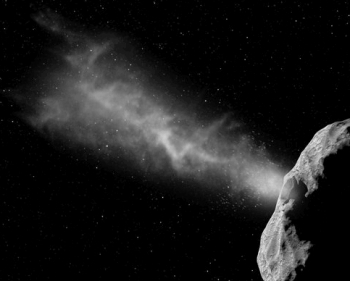 ESA’s Asteroid Impact Mission focuses on that threat more literally, providing the Agency’s very first investigation of planetary defense techniques. The mission is scheduled to launch in late 2020 onboard a Soyuz-Fregat launch vehicle out of the Kourou spaceport. The spacecraft will then travel to a binary asteroid system – the paired Didymos asteroids, which will come a comparatively close 11 million km to Earth in 2022. The 800 meter-diameter main body is orbited by a 170 meter moon, informally named “Didymoon”. The moon is the focus of the mission, with the spacecraft tasked with performing high-resolution visual, thermal and radar mapping of the moon to build detailed maps of its surface and interior structure. 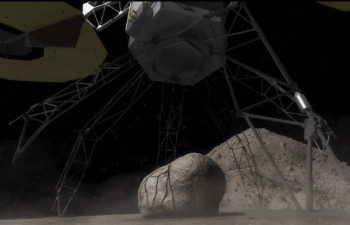 AIM will deploy a lander, following in the footsteps of Rosetta’s Philae landing on a comet last November. 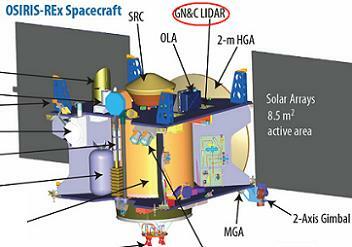 CubeSats will also be dispatched from the spacecraft to gather additional scientific data in the vicinity of the moon. 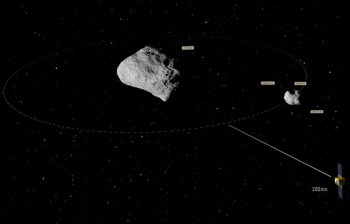 The AIM goals are part of a contribution to the larger Asteroid Impact & Deflection Assessment mission (AIDA), which will involve working with NASA’s Double Asteroid Redirection Test (DART) probe. DART will attack “Didymoon” by crashing into it at about 6 km/s, an event that will be monitored by AIM. The results of the impact will allow scientists to scale up the effects and evaluate the potential of using the method as a line of defence against a space rock that may be a threat to Earth. “The results will allow laboratory impact models to be calibrated on a large-scale basis, to fully understand how an asteroid would react to this kind of energy. This will shed light on the role the ejecta plume will play – a fundamental part in the energy transfer and under scientific debate for over two decades,” added Mr. Carnelli. “In addition, DART’s shifting of Didymoon’s orbit will mark the first time humanity has altered the Solar System. The mission will require much greater accuracy than that employed during the previous man-made collision with an asteroid. That event occurred in 2005, when NASA’s Deep Impact spacecraft shot a copper impactor into asteroid Tempel 1. A hands on examination of an asteroid will occur in the mid-2020s, when the crew of Exploration Mission -2 (EM-2) conduct an EVA from their Orion spacecraft. The plan is for EM-2 to be part of the Asteroid Redirect Mission (ARM) that involves two missions, opening with a robotic mission to head out and capture an asteroid, sending it into a Lunar orbit, ahead of the EM-2 crew arriving for a hands on investigation. Further refinements to the mission were recently announced, including the initial phase, resulting in “Option B” being selected. This option will result in a boulder being grabbed from an asteroid, prior to being brought back to Lunar Orbit. The EM-2 crew will then launch to take samples from the boulder and return them to Earth. While there is usually additional public interest a human mission, the scientific goals will be mainly achieved via the robotic missions. However, EM-2 is part of what NASA describes as the “Proving Grounds”, sending NASA astronauts further into deep space, as part of the knowledge base for the primary goal of reaching Mars. This stepping stone approach will likely involve a major mission to a deep space asteroid in the second half of the 2020s. (Images via NASA, ESA and Lockheed Martin).